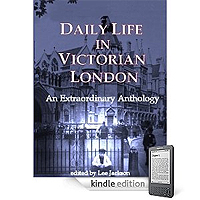 Daily Life in Victorian London : An Extraordinary Anthology - (history). I have revisited an archive of ten years' reading and research — nineteenth century diaries, newspapers, magazines, memoirs, guidebooks — in an attempt to include as many diverse aspects of Victorian life as possible. There is, I must admit, a certain bias in my choice of material: I concentrate on the poor and middle-class. Queen Victoria is glimpsed at a distance, in Hyde Park; MPs and members of the aristocracy appear as the patrons of charities; but this is a book about the everyday. Some of these excerpts make for rather grim reading: the graphic account of a botched back-street abortion; the plight of homeless children, abandoned by their parents; the fever-ridden slums of Jacob's Island. Crime is also to the fore: attempts at blackmail; the rise of the 'hooligan' in Lambeth; the vicious malice of the 'vitriol thrower'. Likewise, it is impossible to neglect the scourge of prostitution in the capital, albeit with one rare instance of a 'soiled dove' who 'made good'. I have, therefore, included a few gratuitous doses of quirky Victoriana, to leaven the mix: advice on keeping pet squirrels; the invention of the snail telegraph (the supposed power of 'escargotic vibration'); how to make tooth powder (with the obligatory drop of cocaine). I also focus on street life. Hence you will find articles about the giant 'advertising vans' which blocked major thoroughfares; races between rival omnibus companies; the wall painters who engaged in 'guerilla advertising'; the delights of Victorian fast food (sheep's trotters, anyone?). This book, at its best, should provide a vicarious form of time travel. The reader will feel, I hope, that they have walked the streets of Victorian London and, having read the more intimate passages — how to remove bed-bugs; tips on wet-nursing; dire warnings against 'secret vice' — that they have also glimpsed behind closed doors. Some things herein may appear quaint — complaints against the immorality of the 'can-can'; disdain for women practising 'bloomerism' (ie. wearing trousers); the unlikely forfeits demanded by parlour games — but they all throw a revealing light on the distinctive mores of the time. I hope, too, that a few things will surprise and astonish, to the extent that they seem almost unbelievable (although, rest assured, this work contains no fabrications). Have you ever heard of the enterprising showman who started his 'Jack the Ripper' chamber of horrors in Whitechapel, within weeks of the 1888 murders? Or the peculiar safeguards afforded by corsets? Or the bar-maids who worked in Underground stations? Or the first (and last) Mesmeric Hospital established in London? It may seem presumptuous to call this an extraordinary anthology; yet it is the extraordinary details of daily life in the 'Great Metropolis' that continue to fascinate me. My only wish is that the reader may share my enthusiasm. I downloaded this on a whim, but am glad that I did as it provides a treasure trove of Victorian social history from contemporary sources (e.g. Illustrated London News) in text and illustrations. This is well worth the modest download charge and the author has done all amateur historians (and Sherlock Holmes fans) a big service by making this material available. There is an active TOC which makes it easy to access all the material featured in the book. 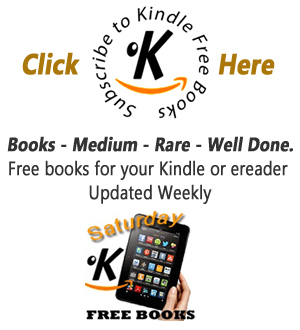 I have no hesitation in awarding this book five stars.